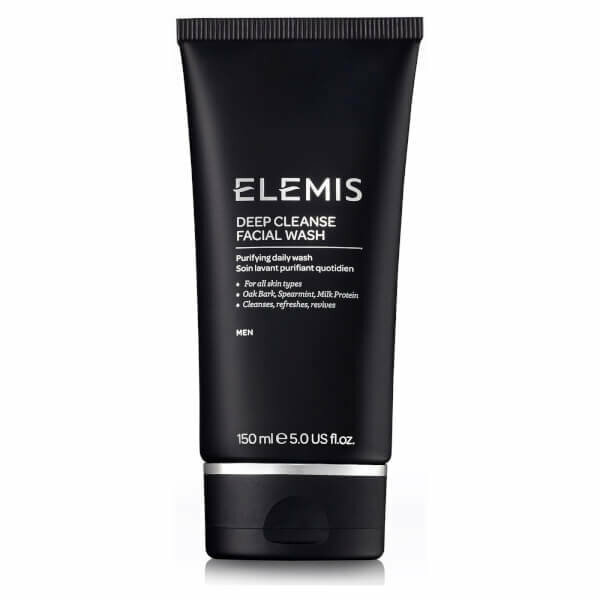 Elemis Deep Cleanse Facial Wash is infused with an effective blend of oak bark, spearmint and peppermint to rejuvenate and awaken skin, whilst removing excess oil, dirt and impurities. Milk protein delivers essential nutrients and promotes healthy skin for a restored, brighter complexion and lifts facial hair to allow a closer shave. With a lightweight gel formulation, the daily face wash penetrates skin to leave you feeling refreshed all day long and shields from environmental aggressors.